A trip to New Zealand must include a journey through their many fine vineyards. 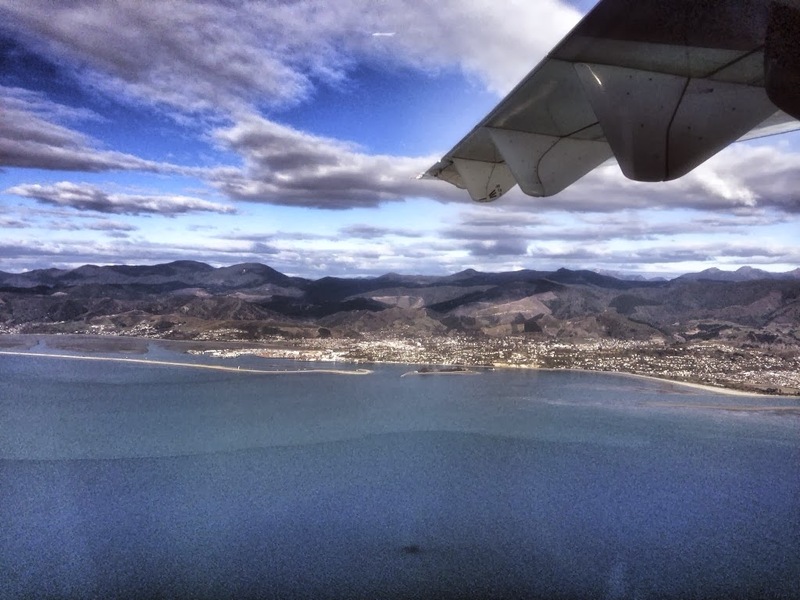 We returned to one of our favorite towns, Nelson, on the South Island, well known for their arts and crafts. The image above was shot as we were coming into the small city. Yes, my iPhone was on. Bad me. As soon as we arrived, we got our rental car and headed to one of our favorite spots for sunset. The Boat Shed provides such a place and we were not disappointed. 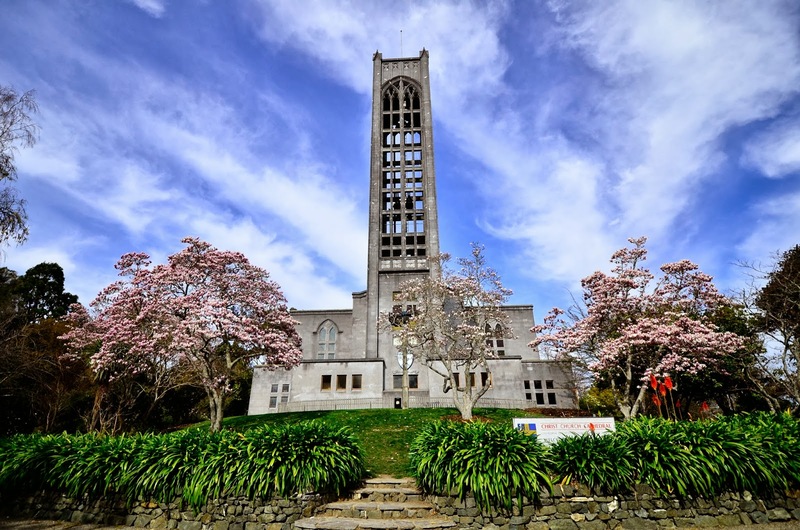 Another great landmark in Nelson is Christ Church Cathedral on Church Hill. We were treated to a beautiful spring day. 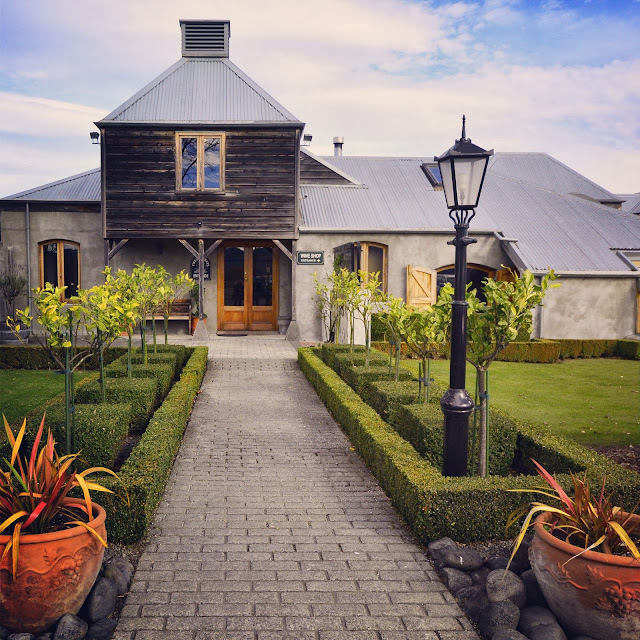 we drove on to explore the Marlborough wine region. 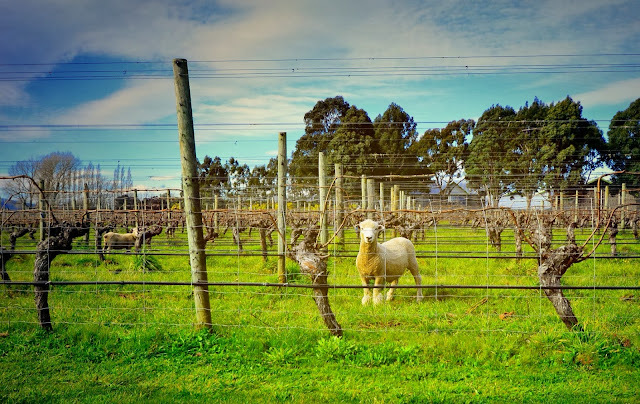 It was interesting to see sheep roaming amongst some of the vineyards. Free labor in keeping the grass mowed! New Zealand has some beautiful landscape. But also some awesome plants. One plant that I just loved seeing was this tree fern with its trunk like stems. And then there are the birds. 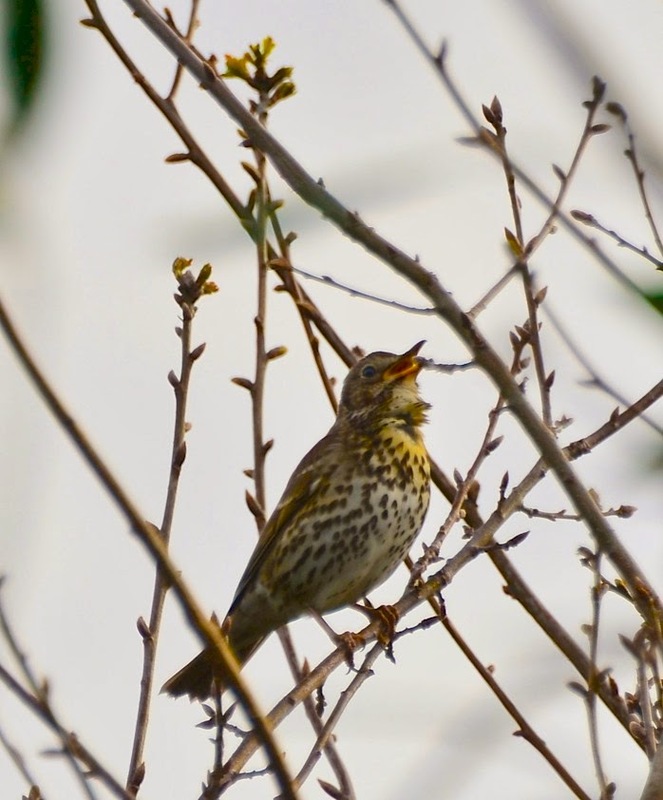 This little Song Thrush was singing his heart out one evening. Makes me smile every time I see this image. More later, my friends, as internet access permits! Nelson certainly is a lovely place and your iPhone certainly did it justice. That song thrush is a illegal immigrant from Europe which does not seem to dampen it's spirits one little bit. 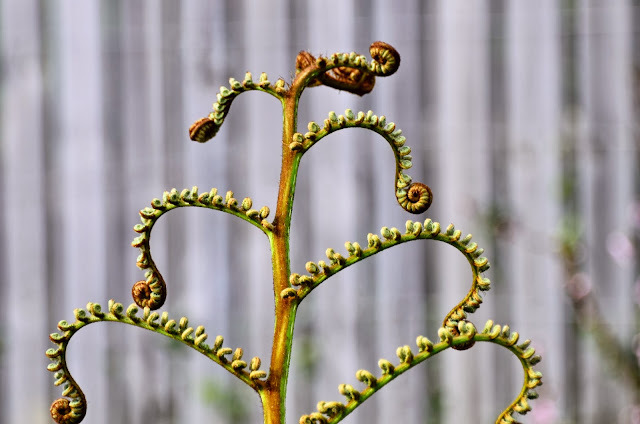 The fern shots are my favorite. The landscape there is amazing. So much beauty. What a lovely place indeed! 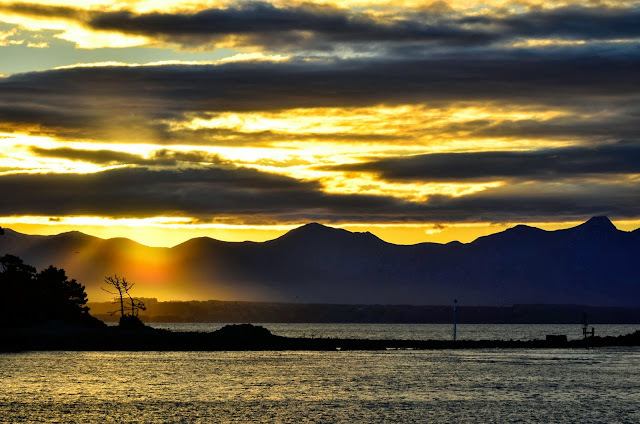 Your photos are superb as always, Reena! Thanks so much for sharing the beauty! Have a great weekend! Weird seeing their vines naked while ours are loaded with leaves and soon-to-be wine. Great pictures all. Like the boat on the water one especially. 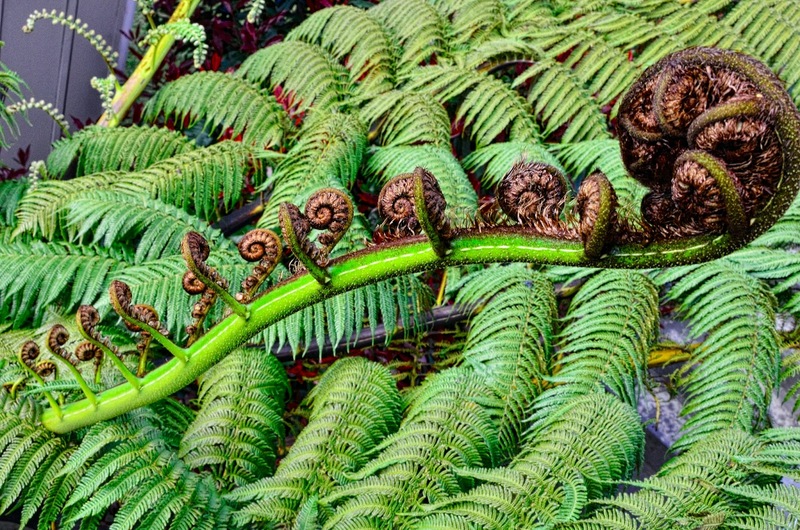 Very nice, the tree fern reminded me of some I saw in HI. You had me a vineyards. 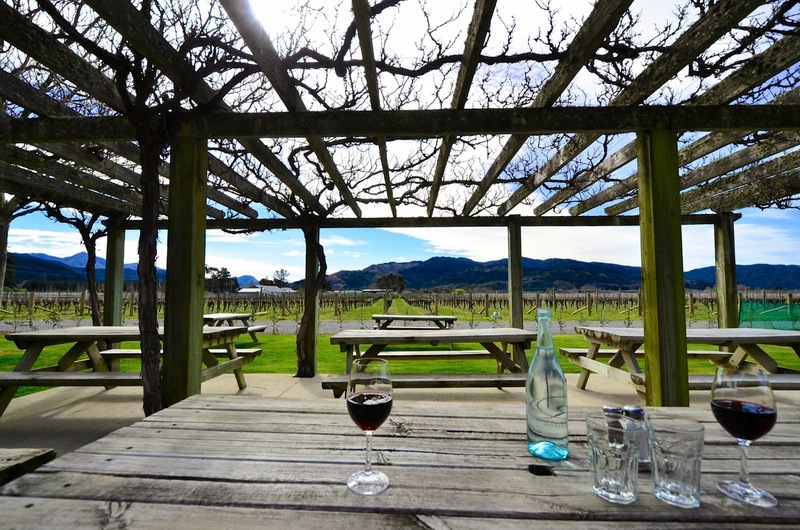 I have heard about these magnificent wineries:) I'm hoping to get over there sometime soon. I have friends in that area and they constantly tell me about their birds and other cool things....like hobbits! Love that boat in the water shot!!! So calming. 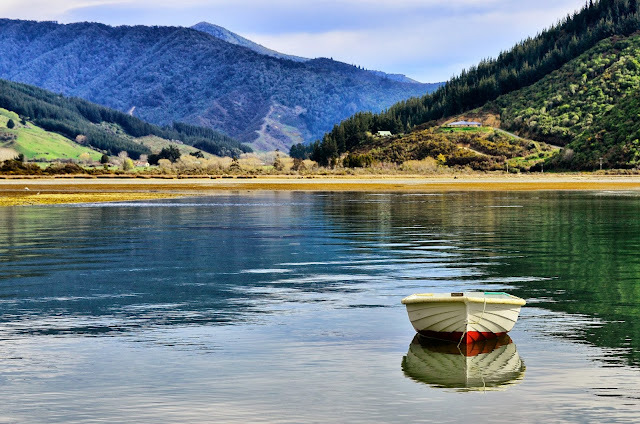 wow...fascinating shots...the lamb in the vineyard and the dinghy on the water...both of those drew me right in...how cool!!! Oh, gorgeous gorgeous photos! Oh beautiful New Zealand...sigh. Some of our favorite wines come from Marlborough. Enjoy!! Gorgeous countryside sights! I really LOVE the shot of the small boat in the water. Such a beautiful scene. I've always dreamed of visiting New Zealand. I almost feel like I went just by seeing your great photos. The sun is a fine artist to produce layers of beauty. Reena, what a beautiful place to visit. The winery is gorgeous. Love the sheep and the sky shot. Your phone takes awesome photos. Have a happy day! What a gorgeous sunset.. I just love seeing the photos of your travels.. I'm happy to see your posts again, although it does seem strange to have New Zealand be the subject! As always, your images are amazing....and your editing is impressive! thank you so much for including us in your trip! Gorgeous photos! Love those ferns...and I love New Zealand wines! Wow! These shots are fantastic! It makes me want to jump on the plane right now. What a fun trip and it looks like such amazing scenery. these are truly gorgeous, reena. Wow! New Zealand? That is so cool. I've always thought of it as being just about another planet, never mind another country. It's so far away.